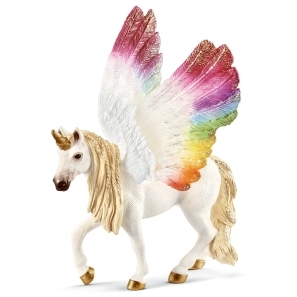 Schleich Foal with Blanket 42361 - Toys & Learning - Schleich Specialists - 100% - Fast Service - Sale Prices. 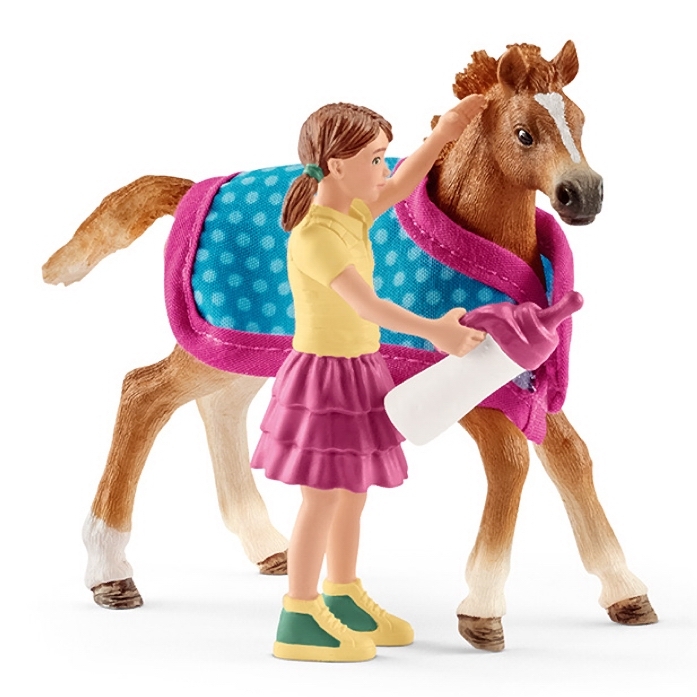 This model Foal with Blanket is one of the top quality hand finished products from the Schleich range of horses & accessories. 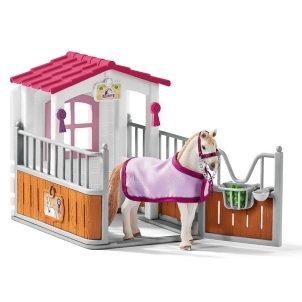 Great little set for a child wishing to bottle feed their own foal. The little girl and foal are incredibly detailed and the set also contains a little blanket for the foal and a milk bottle. Superb.